Miss Eaton is a Central York graduate and has worked for the district for sixteen years. She began her journey at Sinking Springs as a fourth grade teacher. She then moved to fifth grade, and before leaving Sinking Springs, she was a sixth grade teacher. In 2007, her Central journey took her to North Hills as the Librarian, where she taught internet safety, research skills, and library skills to all students in fourth through sixth grade. For the past four years she has acted as the Librarian and a teacher of the Skills for Digital Age Learners classes. 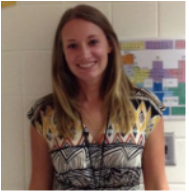 Miss Merrick started at Central York Middle School as a student teacher for Mr. Sean Potts in Language Arts. Following student teaching, Miss Merrick worked as a substitute in the building and even subbed for three weeks in the HUB for Mrs. Howell. Miss Merrick is excited to begin her third year as a Hubster and work with all the wonderful students at Central as a Skills for Digital Age Learning teacher! Mr. Lawson went through Central as a student and completed his Bachelor's from Penn State Harrisburg. He did his student teacher with Mrs. Groom at Central York Middle School. He has a Social Studies degree and is a second year Digital Age teacher. He recently got engaged and bought a house. In his free time he likes to play hockey, football, and exercise. Mrs. Boothe went to college in Ecuadar and can speak three languages. She is married. She has one daughter and a dog. She worked in the Cafeteria at North Hills Elementary School until this year where she joined the HUB team as the library assistant. She loves to read, travel, and exercise.